6.45PM: Bill Chandler (RSNO Director of Artistic Planning and Engagement) in conversation with Johannes Moser in the Upper Circle Bar. 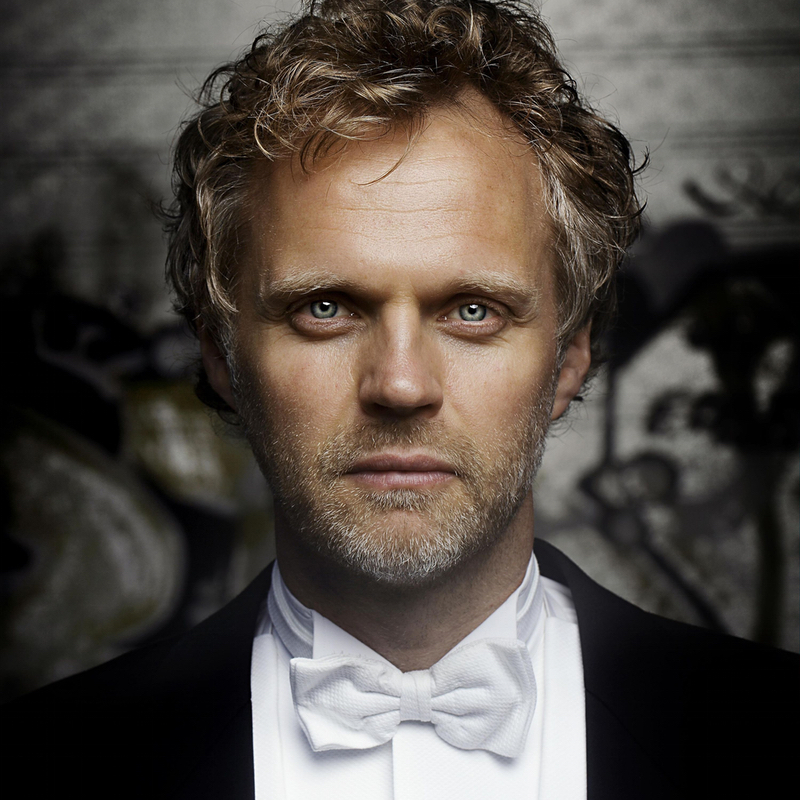 Jirí Rožen is one of the most exciting and promising conductors of his generation. He has seen success in Salzburg and London as the Finalist of both the Nestlé and Salzburg Festival Young Conductors Award and the Donatella Flick LSO Conducting Competition. Formerly, as Assistant Conductor at the BBC Scottish Symphony Orchestra, Jirí worked alongside Donald Runnicles and Thomas Dausgaard, and also assisted them at the BBC Proms and the Edinburgh International Festival. In 2018/19 season, Jirí continues to build on his growing international profile debuting with the Deutsches Symphonie-Orchester Berlin, BBC Philharmonic, Ulster Orchestra and returns to Czech Philharmonic Orchestra and Czech Radio Symphony Orchestra. 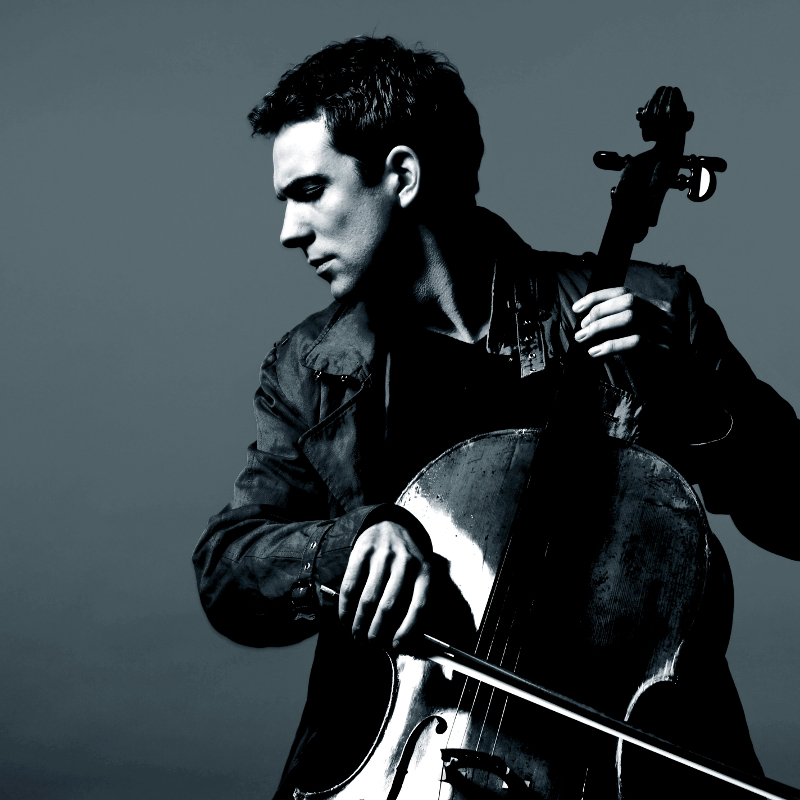 Other engagements include his debut with Hiroshima Symphony Orchestra as well as appearances with the Orchestre de Pau Pays de Béarn, Thessaloniki State Symphony Orchestra and Brno Philharmonic. Jirí also appears at two prestigious international festivals – Musical Autumn in Cluj in Romania, and Smetana Litomyšl in the Czech Republic, conducting the Transylvanian State Philharmonic and Czech Chamber Philharmonic orchestras, respectively. Recent and upcoming soloist collaborations feature internationally recognised names such as Vadim Gluzman, Kirill Gerstein, Mahan Esfahani, Lawrence Brownlee, Christian Schmitt and Sergei Nakariakov. Highlights from the 2017/18 season included his subscription debut and two more projects with the Czech Philharmonic Orchestra, as well as engagements with the Bruckner Orchester Linz, Prague Radio Symphony Orchestra (among others at Prague Spring Festival), Wiener Concert-Verein and the Croatian Radiotelevision (HRT) Symphony Orchestra in Zagreb in a summer open-air gala. A passionate advocate of Czech music, in recent seasons Jirí has conducted his signature work Symphony No 4 by Miloslav Kabelác at Salzburg Festival with Camerata Salzburg (Austrian premiere) and at the Prague Spring Festival with PKF-Prague Philharmonia. Also, he premiered the new critical edition of Bohuslav Martinu's Spectre's Bride with the Brno Philharmonic and Czech Philharmonic Choir Brno. Many of his recent and upcoming programmes include Czech standard repertoire as well as music by Josef Suk, Leoš Janácek, Bohuslav Martinu, Miloslav Kabelác and Viktor Kalabis. Also working in opera, during his time in Scotland Jirí has been engaged in conducting Stravinsky's Mavra, Walton's The Bear, Strauss's Die Fledermaus and Britten's Owen Wingrave. Elsewhere, his opera engagements have included Ravel's L’enfant et les sortilegès with the Hamburger Symphoniker and Sven Daigger's Eine Kluge Else at the Brücken-Festival für Neue Musik in Rostock. 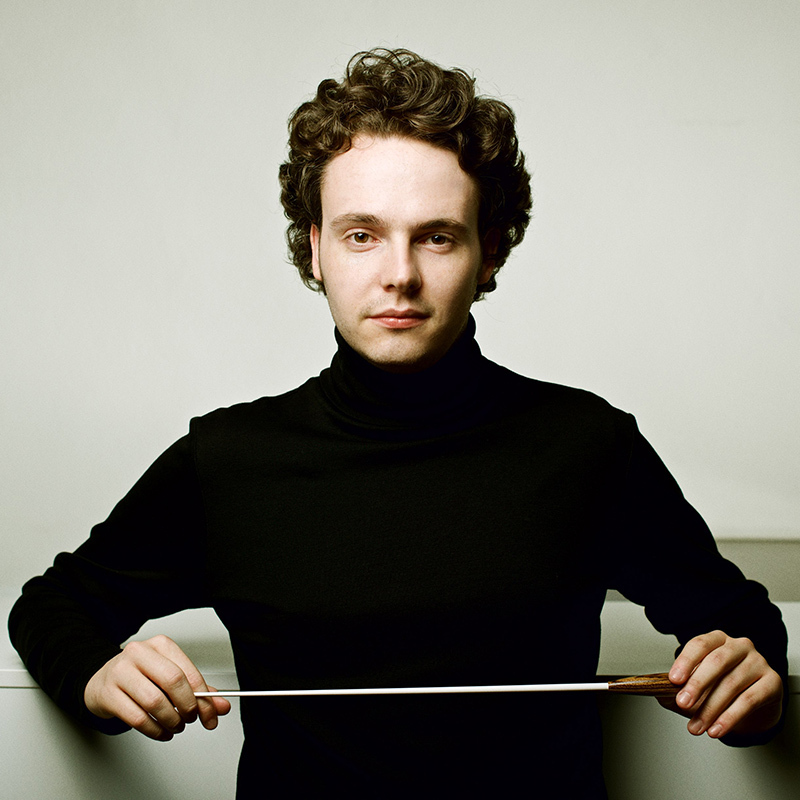 Born in Prague in 1991, Jirí Rožen studied conducting at conservatoires and universities of Prague, Salzburg, Hamburg, Zürich and Glasgow, where he was Leverhulme Conducting Fellow. 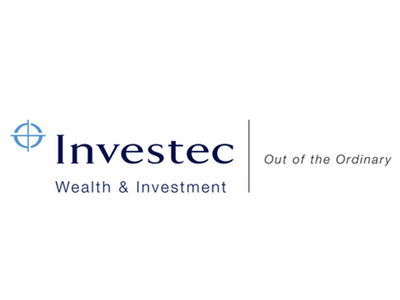 His mentors have included Garry Walker, Dennis Russell Davies, Ulrich Windfuhr and Johannes Schlaefli. 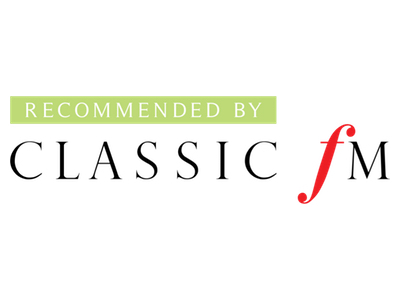 Other important influences include Daniele Gatti, Bernard Haitink, David Zinman and Peter Eötvös in masterclasses with orchestras such as the Royal Concertgebouw Orchestra, Orchestre Philharmonique de Radio France and Tonhalle-Orchester Zürich. 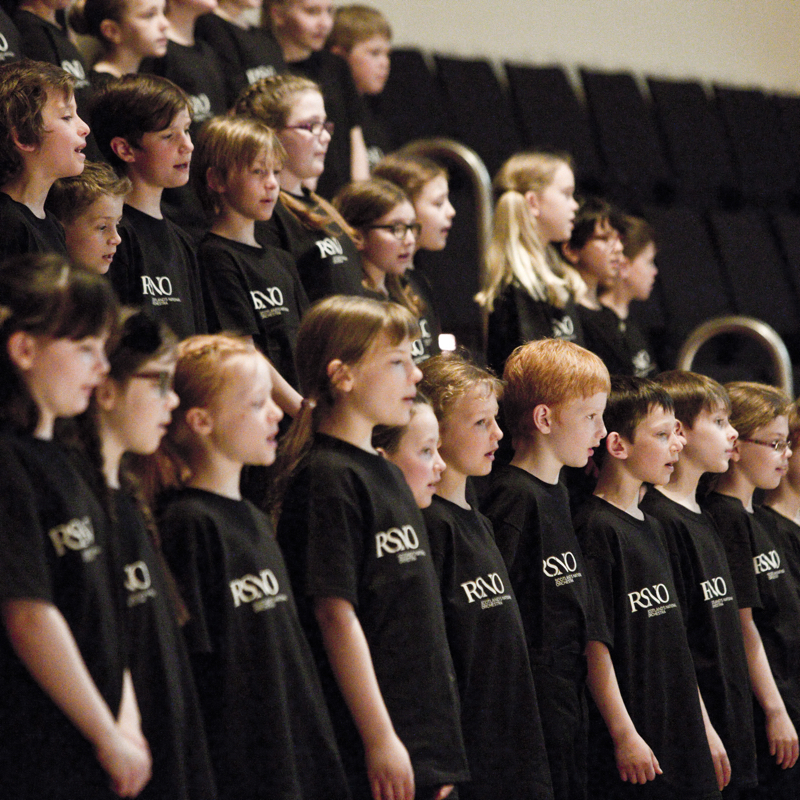 The RSNO Junior Chorus is one of the leading children and youth choirs in the UK, with over 400 members aged seven to eighteen. It was formed in 1978 by Jean Kidd and since 1994 has been directed by Christopher Bell. It has built up a considerable reputation singing under some of the world’s most distinguished conductors and appearing on radio and television. RSNO Junior Chorus members sing regularly with Scotland’s national orchestra in major concert halls and festivals throughout the country. The Junior Chorus has also sung at BBC concerts and regularly appears at the Edinburgh International Festival.